Less than a century ago, Edmund Husserl’s warning words about the European continent were more than farsighted: ‘the gravest danger menacing Europe is its lassitude.’[i] Applied to the security and defence international landscape, his words ring even truer. In the current climate of fiscal and economic austerity, recent debates on the European Union’s (EU) security and defence capabilities have centred on Europe’s clear lag, warned against cuts in national defence budgets, and called for ‘pooling & sharing’ strategies for enhanced defence cooperation at the EU level. Nevertheless, the case for strengthening the EU’s defence policy has been made even harder to support in the domestic debate as regards the allocation of resources and the setting of priorities. The mantra of the day is that the EU Member States ‘are still lacking critical capabilities to ensure they retain their ability to act as security providers.’[ii] Preserving the EU’s strategic autonomy to face future CSDP-related operational challenges is to be achieved through losing national sovereignty – a daunting challenge, especially in a high-politics field such as defence. For the EU to preserve its global normative influence and long-term approach to global public goods and shared values, it also needs to be backed by credible military power as well as security and defence capabilities. In doing so, the High Representative Federica Mogherini’s preparation of the EU Global Strategy for Foreign and Security Policy by June 2016 will need to circumvent the traditional dichotomies of internal versus external security or soft versus hard power. National Defence Technological and Industrial Bases (DTIBs) in Europe have come under increased pressure to produce competitive defence capabilities, due to budgetary restrictions and defence market forces[iii]. Additionally, there is no denying the fact that the centre of gravity for defence Research & Development (R&D) and Research & Technology (R&T) innovation has shifted from defence to the civilian sector, mainly due to economic austerity reasons, in combination with the sharp decline in national defence R&D and R&T investment programmes. The EDA Member States’ aggregated defence data for 2013 of the 27 EDA participating Member States reflects Europe’s defence expenditure decrease. It stands to prove that national defence budgets are an easy target for finance ministries who wish to balance the books. 2013 has been no exception to the recent years’ trend across the EDA Member States to cut defence spending. In real terms, the total defence expenditure has been declining since 2006, dropping by over EUR 32 billion or about 15% from 2006 to 2013. Both as a share of GDP and as a share of the total government spending, defence expenditure has decreased for the seventh year in a row to its lowest values since 2006, at 1.45% and 2.97%, respectively. R&D and R&T expenditure displays even more worrisome and vacillating trends, with defence investment comprising equipment procurement and R&D (including R&T) expenditure, following a sharp decrease in 2011 (-10.5%), slight increase in 2012, but another decrease in 2013 below the level it was in 2006, to EUR 37.5 billion or 20.1% of the total defence expenditure. In 2008, the European Defence Research and Technology Strategy (EDRTS) recognized strategic technologies and skills that needed to be preserved or further developed in Europe, additionally endorsing collaborative research and technology projects. The EDRTS was focused on addressing the R&T prerequisites of the CSDP in the field of crisis management. Its main goal was to encourage more effective and common investments (through growing cross-border ownership of companies in the supply chain and the multi-lateralisation of collaborations) from the part of Defence R&T stakeholders (pMS, industry & research suppliers, European Commission, NATO, OCCAR, ESA,…). The buzz word of creating synergies between civil and military activities was put forward in the 2008 Strategy, remarkable placing the special emphasis on disruptive technologies and emerging technologies. With the EDRTS, the general strategic lines for civil-military R&D and R&T hybridization were already set by promoting technology push mechanisms, i.e. promoting awareness of civil technologies for defence purposes and developing technology roadmaps. On top of that, the European Commission has supported such efforts to revamp the European Defence Technological and Industrial Base (EDTIB), by softening regulatory prerequisites and by advancing strategies for defence market liberalisation. In terms of cooperative defence research programmes, the European Commission in partnership with the EDA as the hub of defence research at EU-level is planning to launch a Preparatory Action (PA) on CSDP-related research in the time-frame of 2017-2019. 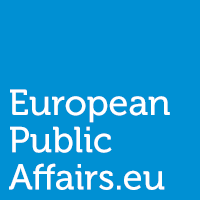 The PA will shift financing opportunities in support of European defence cooperation and of the European defence industries from Members States to the EU per se. In 2013, A New Deal for European Defence or roadmap was put forward by the European Commission in collaboration with the EDA so as to strengthen the Single Market for defence, giving the European defence industry the much needed competitive edge, and last but not the least to ‘foster synergies between civil and military research’. Ranking high among the above-mentioned objectives is the new ‘Preparatory Action’, a type of probationary test case for the European Union to directly contribute to defence-oriented R&D and R&T for the CSDP. This unprecedented step could be construed as a type of hedging strategy initiated by the EU in order to protect European defence interests from outside competition, as well as to maintain Europe’s security autonomy in the future. If proven successful in the time-frame of 2017-2019, the Commission’s Preparatory Action for CSDP-related research has been heralded as a potential game-changer in the field of European defence research. This could pave the way for permanent funding from the part of the European Commission to support CSDP-related research. In an unprecedented strategic move, it would also open up the EU financing machine for defence research and development beyond the limiting constraints of civil-military R&D under the Horizon 2020 research programme. As emphasized by the EDA European Synergies and Innovation director, Mr Denis Roger, ‘What is at stake is the development of a European technological and industrial base with a critical mass on areas we consider important for the development of CSDP-related capabilities’. The European Commission, especially with its Preparatory Action set for 2017-2019, could pose interesting challenges as lead and agenda setter, particularly with regard to the EU defence industry and market. With the liberalization of the defence market, the Commission is gaining a central position; the defence industry would become subject to the rules of competition, state aid, public procurement, and customs. The paramount question would be whether the Commission and the EDA represent competing solutions in the realms of defence industry. The answer being simplified to two contrasting aspects: the Commission has an indisputable supra-national, market framework, while the EDA represents an intergovernmental take on defence, permitting national governments to withhold an upper-hand in the decision making process. [ii] European Defence Matters, A magazine of the European Defence Agency, Issue 08 (2015): 5. [iii] D. Fiott, ‘The European Defence Technological and Industrial Base: Five Suggestions’ in ‘The State of Defence in Europe: State of Emergency?,’ EGMONT PAPER 62 (ACADEMIA PRESS, November 2013): 73-74.